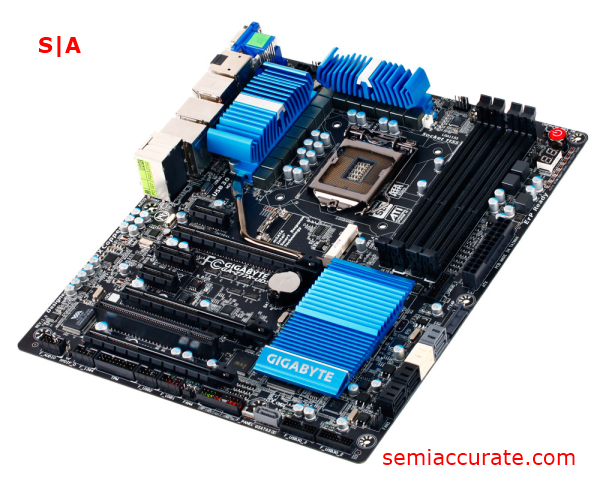 Motherboard manufacturer Gigabyte is making a rather large splash with the launch of its new Intel 7 Series lineup. 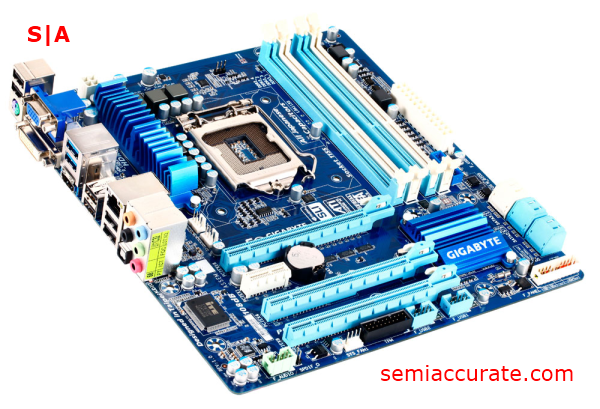 We covered some of these new motherboards back in early January and it’s interesting to see how much spit and polish Gigabyte has been able to apply in the intervening months. 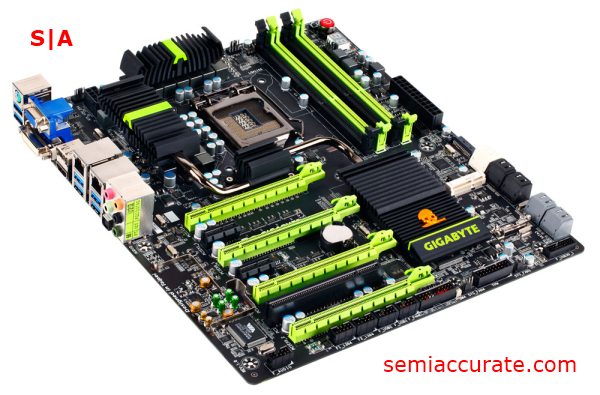 More to the point, I would like to highlight the lack of gun, and or bullet, shaped heatsinks on either of Gigabyte’s gamer oriented Sniper motherboards, which you can see later on in the article. 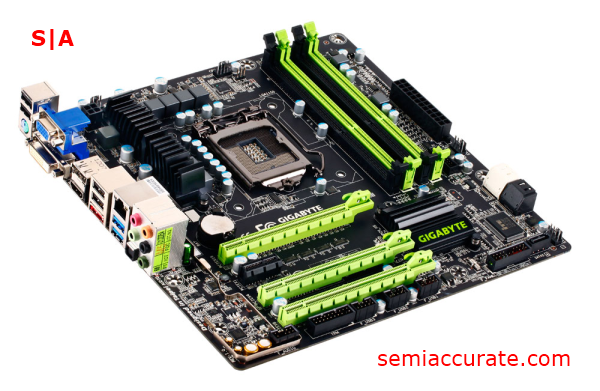 Gigabyte has also fine tuned their color choices and ended up with a set of very respectable looking motherboards. 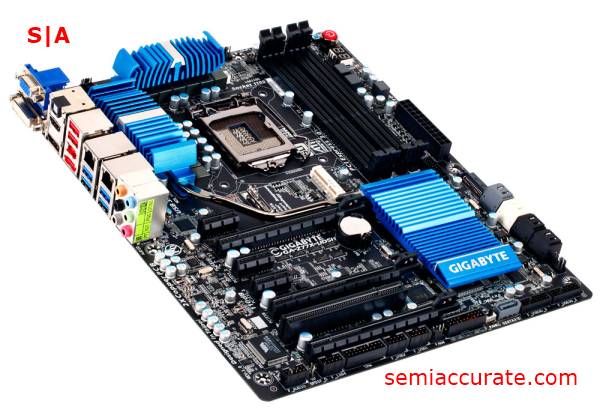 Ignoring the motherboards themselves for a moment, Gigabytes headlining feature is what it calls a 3D BIOS. Now I know that at least a few of are trying to stop your eyes from rolling into the back of your head at the mere mention of the term “3D”. But, at least in this case, the usage of the term seems warranted. 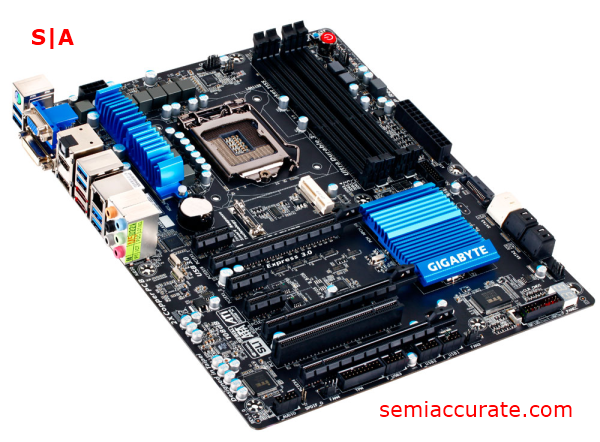 What Gigabyte’s done is to take advantage of the extended capabilities of UEFI to display a 3D Model of your motherboard. 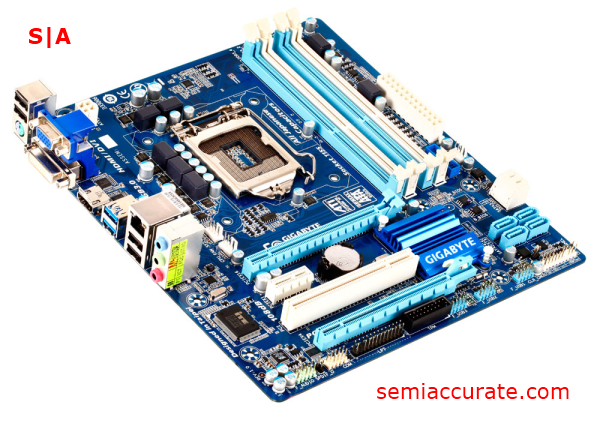 But it’s more than just a simple graphic though, as you can select different groups of settings options by clicking on the area of the motherboard that they affect. For example if you were to click on the part of the model representing the SATA ports the 3D BIOS would display settings pertaining to your storage configuration. Gigabyte’s released a neat little video on the subject which you can find over at Youtube. 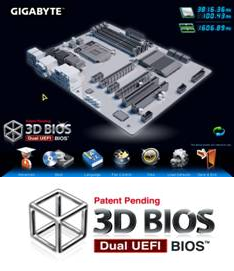 For advanced users Gigabyte’s 3D BIOS is, at best, a little entertaining, but for novice users the 3D BIOS is significantly more intuitive than a standard UEFI interface, and might even have the added benefit of teaching them which areas of their motherboard govern what functions. 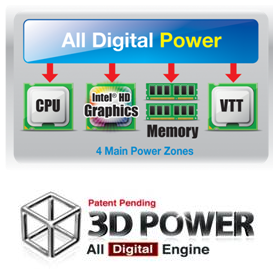 Moving on the other features that Gigabyte’s touting, we have the 3D Power engine. Basically what we have here is a fancy name to alert buyers to the fact that Gigabyte has opted to use only digital regulators on its power delivery systems. And while this isn’t a super big deal to most users it can be useful to overclockers who need accurate and highly granular voltage control. 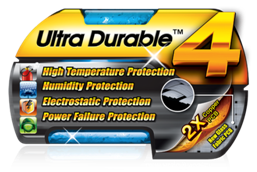 Next up we have the fourth iteration of Gigabyte’s Ultra Durable technology. 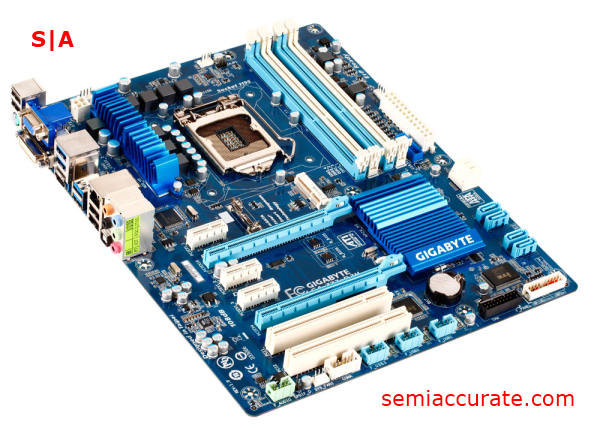 There appear to be five tenets of this technology, namely Gigabyte’s 2x Copper feature, a new design for the glass fabric of the motherboard’s PCB which reduces short circuiting due to humidity, all 50,000 hour solid Capacitors and Low RDS MOSFETs, High ESD resistance ICs to prevent static electricity from frying your motherboard, and Anti-surge ICs to protect the motherboard from blowing up due to power failures. Again, Gigabyte has posted an informational video to Youtube on the subject. 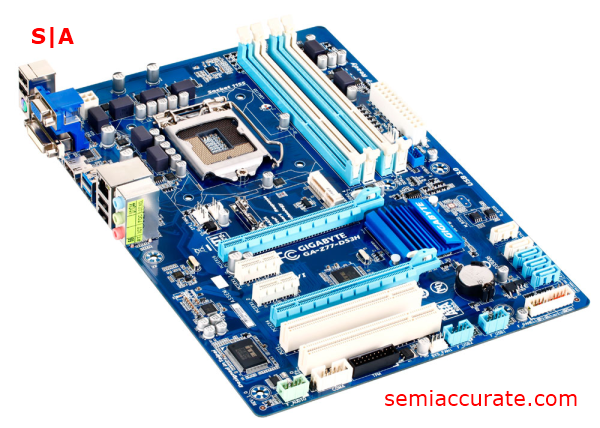 For information individual motherboards you can click on any of the links below. 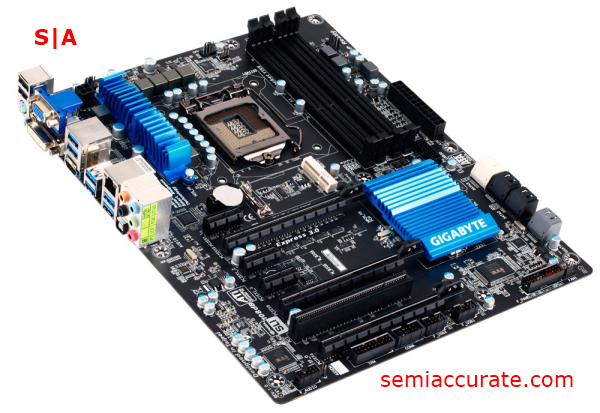 And if you’d like a video overview of these motherboards you can check out the promotional walk-through from Gigabyte.